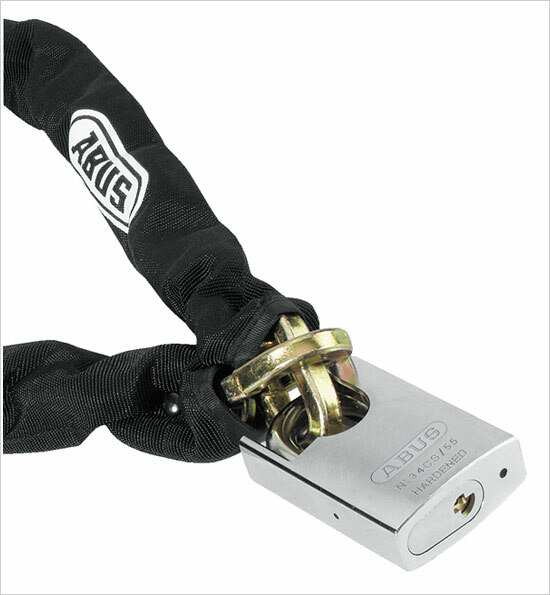 ABUS generally make the best security chains in the world because of their high end hardened steel and quality process. 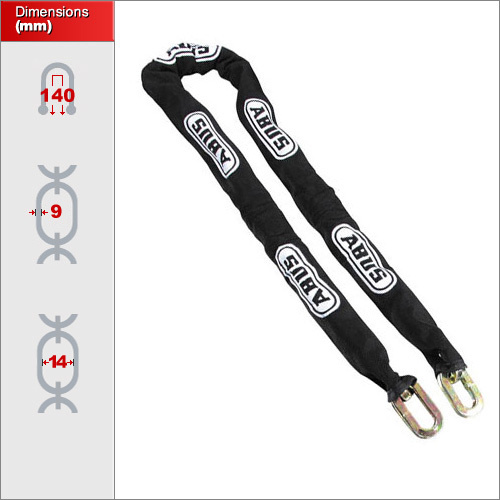 ABUS usually make only 6mm, 8mm and 10mm chains but these these chain links are 9mm thick and made for a specific job for an industrial client. These are now excess stock and surplus to the normal sizes we offer. 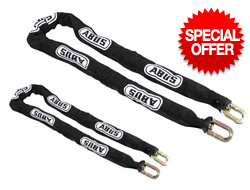 These is no specific list prices for these but if you take a middle point between the 8 and & 10mm chains then these would be about £40 for the 110cm length and £45 for the 140cm length. As you can see we're starting them off at an outragious £20 and £25!!!! So basically half price!